Help Identify this car and help the L.A. county sheriffs department identify this car. 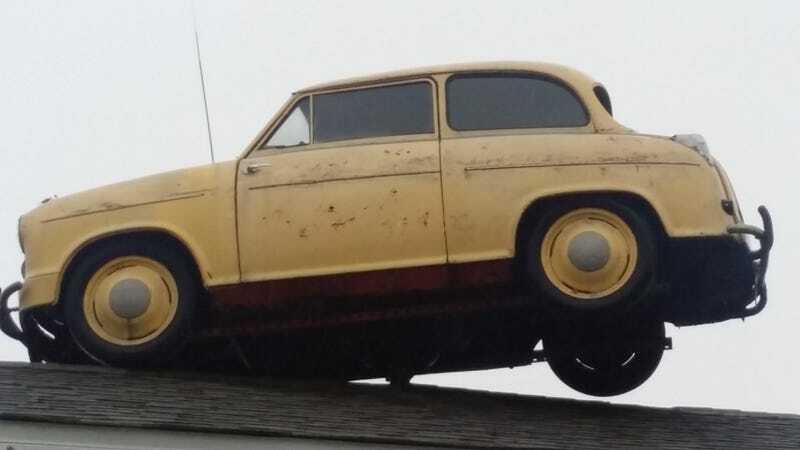 This car was spotted on a rooftop near the scene of a minor speeding violation. Let us know the make, year, and model, and perhaps someone from the L.A. county sheriffs department will read this post and learn the identity of this car.